Handcrafted Since 1930 custom Attachment Solutions Quality. Integrity. Service and Commitment. Changing the Ways jobs get Done. The Toughest, Best Engineered Skid Steer Tree Shears Made! 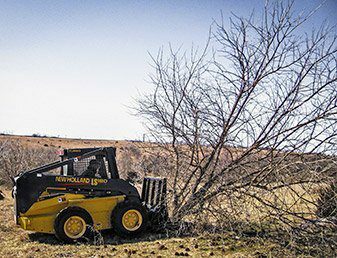 The Dymax 14” & 16” Ranch Axe Tree Shear for skid steer loaders is the ideal tool for general land clearing. Designed for general land clearing where materials are no more than 14 or 16 inches in diameter, Dymax 14” & 16” Ranch Axe Tree Shears feature solid steel shearing arms that deliver 60% stronger performance compared to competing products. Dymax 14” Ranch Axe Tree Shears are available with two different styles of shear arms. These are the standard arm and extended arm design. Standard shear arms are ideal for shearing hardwoods such as mesquite, oak, osage orange (hedge), and locust, while open-end extended shear arms are suited for softwood species like cedar trees. 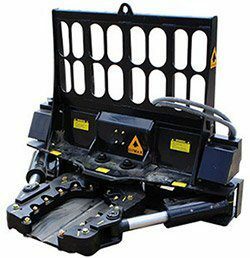 The Dymax 16” Ranch Axe Tree Shear is available with standard shearing arms for tough and extreme applications. 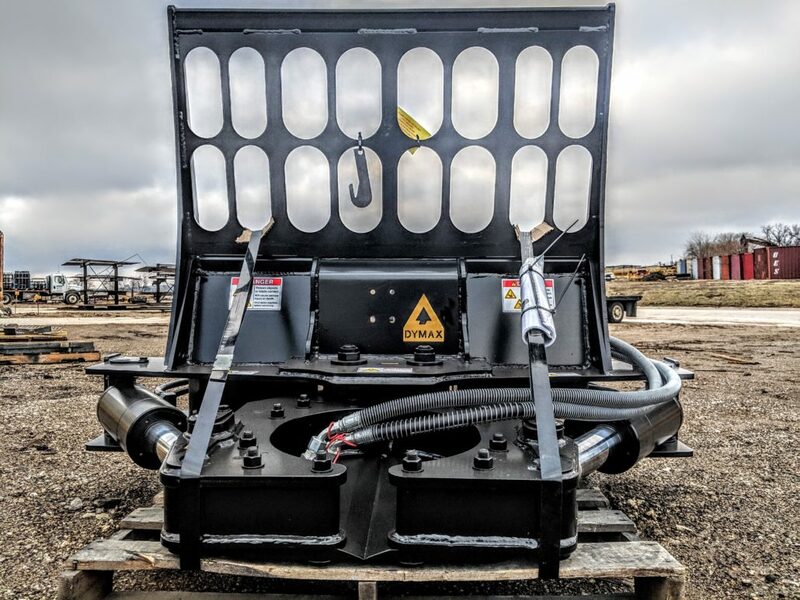 Dymax 14” & 16” Ranch Axe Tree Shears for skid steer loaders feature ground level cutting and solid steel shearing arms which are 60% stronger than fabricated steel shearing arms. 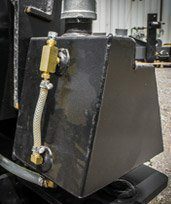 Designed for machines with a minimum of 1,850 lbs of operating capacity, minimum flow rate of 15 gpm. Shearing cylinder is rated at 4,000 psi. 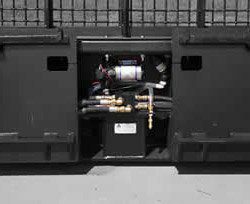 Equipped with guarded hard line to improve hose protection from abusive elements. 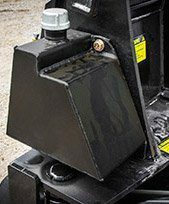 All units are equipped with universal mount skid steer coupler hooks to work with most new model skid steer loaders. 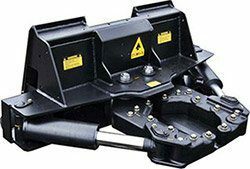 Tree shears are provided with standard flow flat face couplings. Options include pushbar and brushguard. Optional 5 gallon sprayer kit system available to prevent regrowth.